If you live with one or more of the 1500 species of Geckos, it’s likely a warm spot, maybe even tropical. But it could be cold if your household has one or more as a pet, because they’re popular with the shorties. Either way, if you’ve seen much of them then you’ve seen them walk up walls, but Spidey and Fred Astaire can do that. But then they walk across the ceiling. Damn, they must have sticky feet. Then the must have a bunch of suction cups on their feet. Well then it must be magic. New research on the subtleties of gecko adhesion shows that nature is still outpacing scientists in the lab. Geckos can stick to surfaces because their bulbous toes are covered in hundreds of tiny microscopic hairs called setae. Each seta splits off into hundreds of even smaller bristles called spatulae. Scientists already knew that the tufts of tiny hairs get so close to the contours in walls and ceilings that the van der Waals force kicks in. This type of physical bond happens when electrons from the gecko hair molecules and electrons from the wall molecules interact with each other and create an electromagnetic attraction. The setae sprouting off the bottom of a gecko's feet don't stand straight up at a 90-degree angle, but instead branch out at oblique angles. The mathematical model shows that if the hairs bend at an angle closer to horizontal, the surface area that the geckos can stick to increases, and the geckos can support more weight. Setae are also ultraflexible. 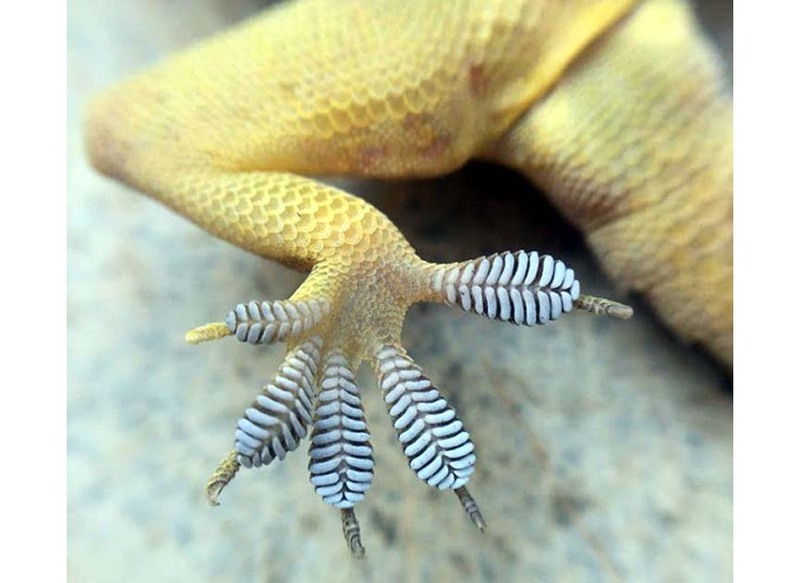 When a gecko jumps to another surface or quickly changes direction to escape a predator, its toe hairs must absorb huge amounts of energy and redirect it. 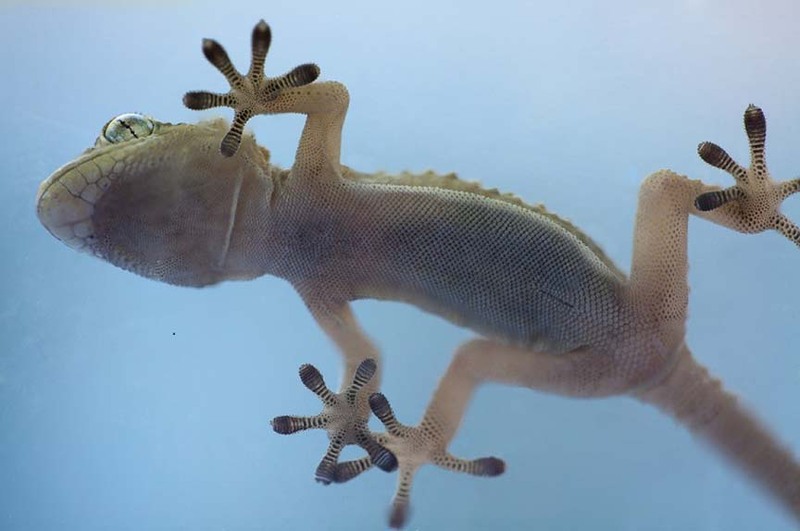 The flexibility and stretchiness of the setae help redirect the energy and make it possible for geckos to walk across surfaces at any angle, unless the surface is covered in too much moisture, in which case their sticking powers are reduced and their feet start slipping. The model also showed that geckos are able to balance out the force of gravity by applying their own force to a wall; they can press and slide their feet toward their body and drag their feet across surfaces without falling. Greaney said the next step is to explore the role that friction plays.